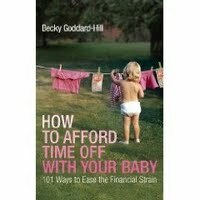 This book comes from the baby budgeting movement, whereby women are encouraged to become stay at home mums. The idea behind the book is to demonstrate to mums that there are ways to budget and stay at home during your children’s formative years. I was very excited to read this, hoping that I will be given some special secrets which might allow me to better budget. 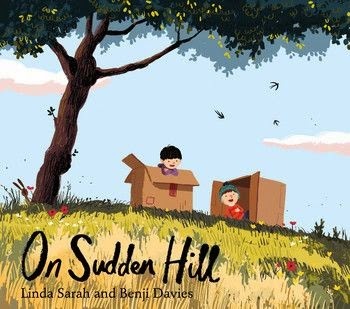 The book is divided into different chapters, which broadly relate to the different stages in the life of yourself and your child, there is also a handy resource section. Its well designed so that you can dip in and out of it easily. I have to admit, I was really disappointed as the book really didn’t tell me an awful lot which I didn’t already know. We all know that it’s cheaper to buy baby clothes from the supermarket or second-hand, that you should accept help, and that its cheaper to take your own juice and baby food out with you. I think it would be better marketed towards women who are yet to have their children. It will give some sort of an idea of how your life really does change. Anyhow, there are quite a few useful sections, I thought pre-school chapter with its ideas for games to play was really good. The resource bank at the end of the book with sources of information and support is also helpful.The book was well written, in the perfect style for this sort of book. This made it a quick and easy read, and I did relate to such a lot of it, that I enjoyed reading it. I could really identify where the author was coming from. The problem with money is that there&#39;s only so much room for manoeuvre – too many fixed costs. No car is one real saver. Hard to carry through with kids though. The little savings really don&#39;t make a significant difference. We don&#39;t have Sky, don&#39;t see why I&#39;d pay monthly fee for TV if I already have to dish out for TV license.